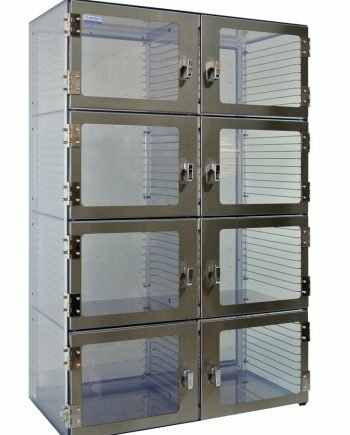 1520 series drawer desiccator cabinets allow for parts and components to be properly organized, labeled and stored in a low humidity, controlled environment. 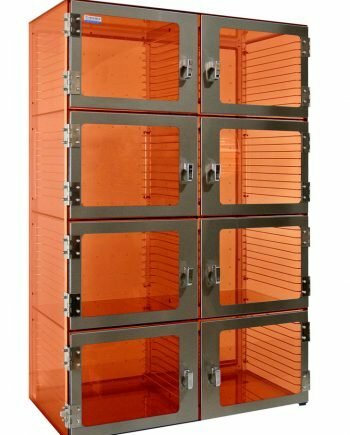 When used in conjunction with a purge control unit or system, desiccator cabinets can extend the shelf life of stored parts and components. 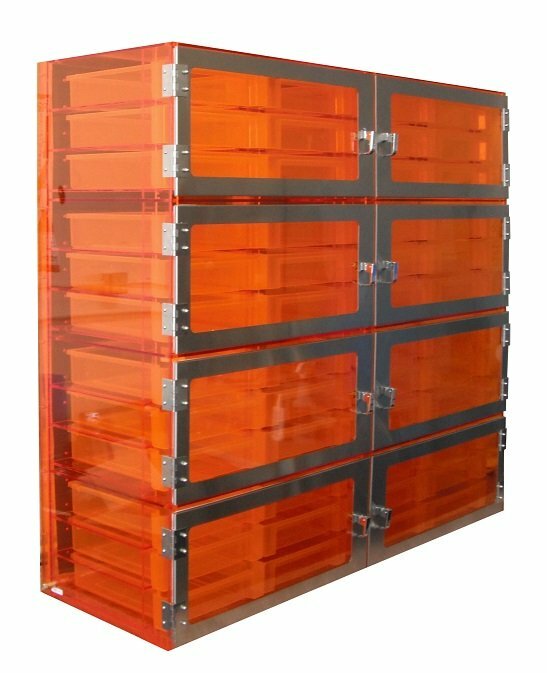 ¼’’ Thick UV Amber Acrylic. Acrylic can be damaged by alcohol and some cleaning agents. Chrome plated lift-and-turn compression latch.